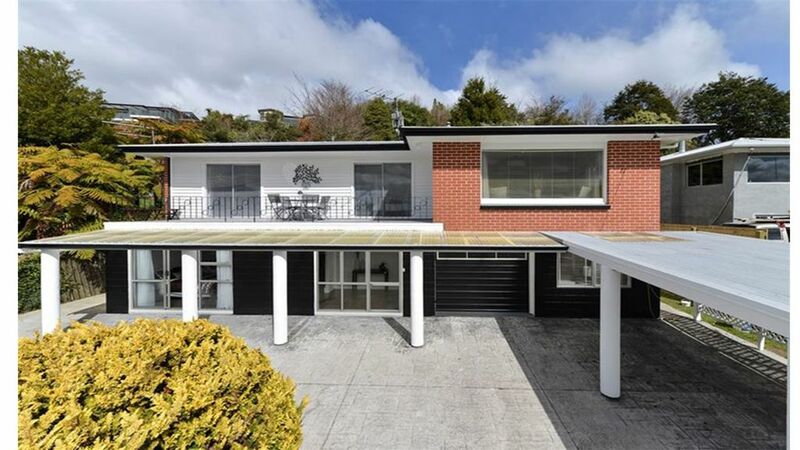 Situated in an up market area of Rotorua-Tihiotonga, overlooking the township to the lake. Situated 5 minutes away from Central Rotorua, and far enough from the unpleasant sulphur smells. Modern, clean and contemporary lodge packed with all facilities. Recently refurbished tastefully throughout to meet the needs of the most discerning holiday makers, a spacious home that can accommodate that smaller family looking for quality and individual space, to that larger group such as sports clubs, corporate functions or weddings parties looking to stay together. 6 bedrooms, 2.5 bathroom/toilette. 3 big gardens separated have all an expensive view of the whole city and Rotorua lake. Reserve with playground across the road, bus stop out the front, ample parking on the property. Video surveillance (CCTV) outside the house to keep you property and cars secure. Check in after 4PM and check out before 11 AM. For late check out, you may be charged 50 NZD per hour. Smoking outside only and no cigarette butts in the house or in the garden. If you need to use the BBQ and want us to prepare the gas bottle for you, please contact me when booking. If you need airport and station transfer/pick-up service, or tourism guide and car service, please contact us with your requirements. Friendly sympathique holiday home owner. Experience in tourism stuffs. Like to make new friends and meet new people. Love trip and wine. Speak English, French, Chinese and Cantonese. Near Rotorua town, restaurant and most attraction sites; Many bedrooms and parking places; Wonderful view; Next to bus station. Linens and beddings provided; Free wifi; Pool table and big game machine. 5 min's drive to town center and very close to all Tourist attractions, restaurants and malls. One carport and lots of car park in the front garden and by the road. House is beautiful and in a excellent location. Section could do with a tidy up and more of an eye to detail on the cleaning inside. But over all a good set out place and perfect for our large group. Thank you very much for your appreciation and suggestions. We'll try our best to do better and hopd to meet you again. Large and spacious with well maintained yards. Loved our time here, great views and very friendly hosts. Thanks!! Thank you very much for your appreciation and understanding. Hope to see you again. This is the perfect place for a group of people as it has 6 bedrooms, a big kitchen and living room, amazing views and a games room with pool and classic video games!! We kept ourselves entertained well after dinner. Emma was a great host, very responsive and accommodating. If you have a big group of people, prefer a quiet and beautiful place to live, want to enjoy your live in Rotorua, this is the place for you! The online pictures do not reflect this property accurately! House was not very clean and yard was overgrown... one bush scrapped our car every time we drove in and out. Carpet had not been vacuumed, showers and sinks were dirty, kitchen trash can had mold inside, sponges were nasty and barely any soap to wash hands or dishes. No salt or pepper in shakers. A VRBO that is not clean and does not have the basic necessities does not leave a good impression for references to friends and family. Thank you very much for your feedback and suggestions in detail. We'll find a professional team to do the deep cleaning job and fix all the smallest problems. The property was great with plenty of room for everyone. All the necessities were provided. The games room was a big hit with the children. There was plenty of off road parking for the 3 families. There is also a park for the little ones which you can walk under 5 minutes. We would all certainly stay there again.